Labour’s response to the budget has been largely limited to an internal argument about whether we should pledge to reverse tax cuts. As a party, we are in danger of wasting too much time squabbling amongst ourselves rather than turning our ire on the Tory budget. We must instead set out our stall with a bright, engaging alternative that will capture the attention of voters across this country. The distracting row is especially disappointing given the Chancellor has been given a relatively easy ride by the press. It was surprising how easily some members of the commentariat swallowed what was, quite frankly, an irrelevant and uninspiring budget. Philip Hammond’s strategy was to do very little. Or to put it more clearly: do very little but say positive things about allegedly ending austerity and helping working people. That is exactly the problem. 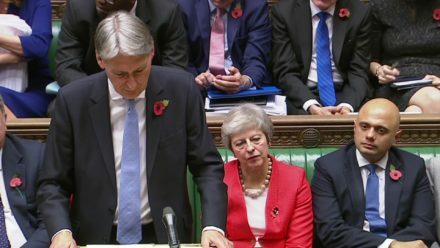 By doing very little, the Chancellor is failing to grasp – or perhaps willfully ignoring – the fundamental issues facing our country and economy. The scale of the problem cannot be understated. The UK economy is perhaps at its worst point for thirty years. If you dig into the figures, you will find the picture that emerges is positively dire. Most alarming is the sluggish growth forecasts for the next five years, which will see GDP growth rise no higher than 1.6% per annum. When you compare this with the G20 average of around 3.5%, you quickly see that we are substantially lagging behind the rest of the world. Why should we be so concerned about the growth rate? We should care because it is this that provides the environment for improving the living conditions of people across the country. If the economy is not growing, wages will continue to stagnate and those at the lower end of the income scale will continue to find it difficult to get by. A terminally poor growth rate causes other problems too: if our economy continues to bump along with very little expansion, the government will collect less tax to invest in our public services as well as important national infrastructure. There seems to be a wilful public ignorance that getting the economy to perform much better should be one of the fundamental roles of government. The real travesty is that the vast majority of the people in the country know this intuitively. Most people know this because they feel it in their lives; they feel it in their pocket; they feel it in their struggles to make ends meet; and they feel it in their battles to secure stable, well-paying jobs. The economic problems facing society’s most vulnerable people are even worse than the figure of 1.6% would suggest. That’s because the UK is structured in such a way that people with the sharpest elbows – those with university degrees or who work in financial services – manage to capture the lion’s share of this growth. And that gets to the fundamental heart of what is going critically wrong with our economy: it is imbalanced. Large swathes of our economic policy over the last few decades have been designed specifically around supporting financial services and other high-end services in London. This leaves people in our industrial heartlands with much less attractive opportunities. How has this happened? Successive governments have not prioritised investment in manufacturing and other allied industries, thinking that high-end services – like banking, advertising and PR – can fill the gap. It cannot. We have prioritised high-end services by letting it become unprofitable to invest in manufacturing in this country. I know from direct experience that it has become more and more difficult to run a manufacturing business in the UK; our exchange rate is much too high, making it too expensive to sell abroad. You don’t have to accept my diagnosis to recognise the fundamental issue here: as a party, we have not pointed out the critical importance of the growth rate in building a just, fair and compassionate society. We should have pointed that out – as well as the fact that the Conservative Party has failed to deliver the goods. Labour has spent too much time over the last three days arguing internally. The country is crying out for an alternative that solves our fundamental problems; that gets to the heart of why our economy is rotten; diagnoses the issues and prescribes bold, radical solutions. There was an opportunity for us to lay out this plan to the public over the last few days, but we didn’t grab it. We must do better than this. John Mills is the founder of consumer goods giant JML, Labour Leave and Labour Future. He has been a major Labour donor.